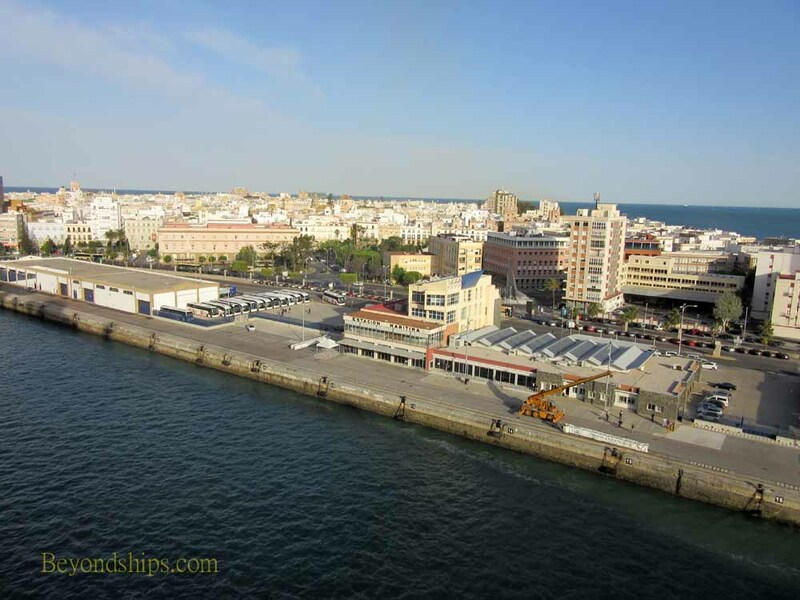 Cadiz is an increasingly popular port of call. 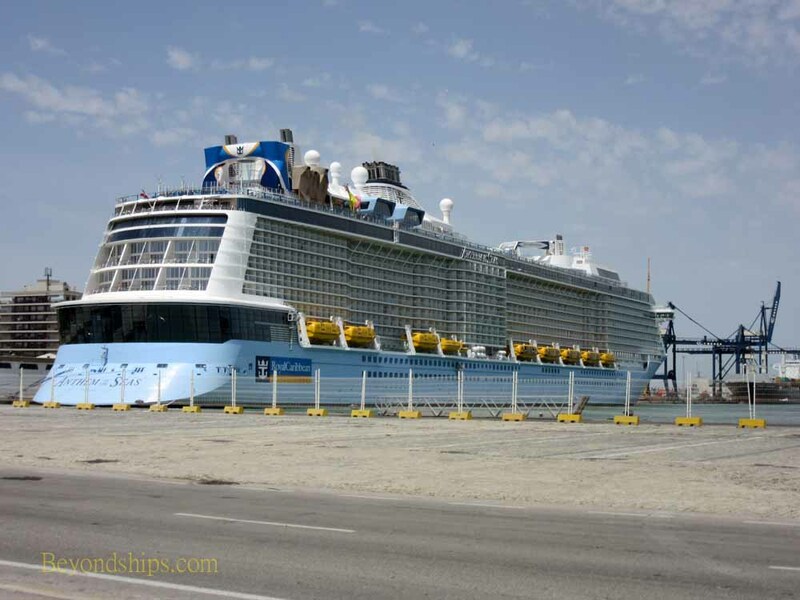 In 2010, 285 cruise ships called in Cadiz carrying 323,611 passengers. The ships represented such major lines as Cunard, Royal Caribbean, Holland America, P&O Cruises and TUI. Cruise ships dock at Puerto de Cadiz. The main section of the port is an open-top rectangle with multiple berths along the sides and the bottom. 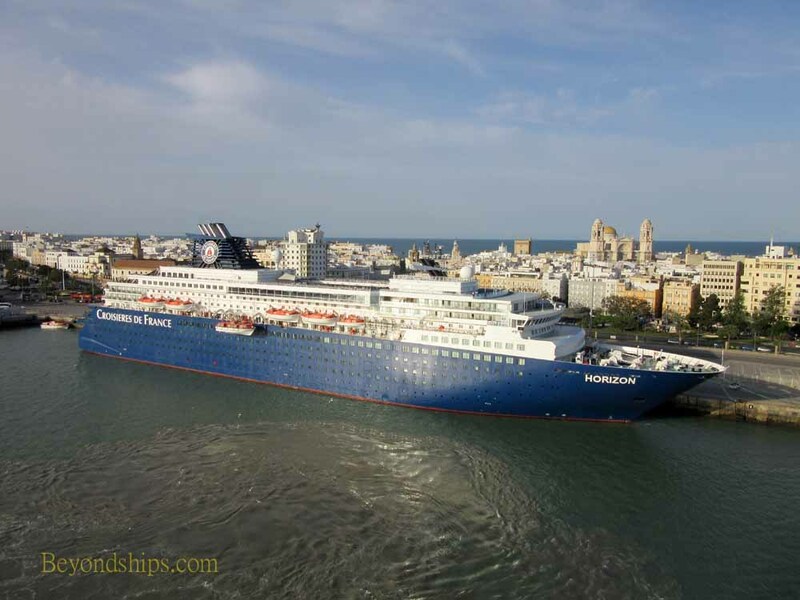 There are two cruise terminal buildings, the Reia Sophia Terminal and the ing Alfonso XIII. The port is within walking distance of Cadiz's major historical attractions such as Cadiz Cathedral. Also within walking distance is the train station with trains to Jerez de Frontera and Seville. ​Taxis can usually be found at the cruise terminal. There is a bus stop nearby. Cadiz also has a hop on hop off bus. The cruise port borders the old section of the city. Within that area are shops and cafes as well as historical landmarks. ​Above: Anthem of the Seas in Cadiz. ​Below: Horizon in the port of Cadiz.